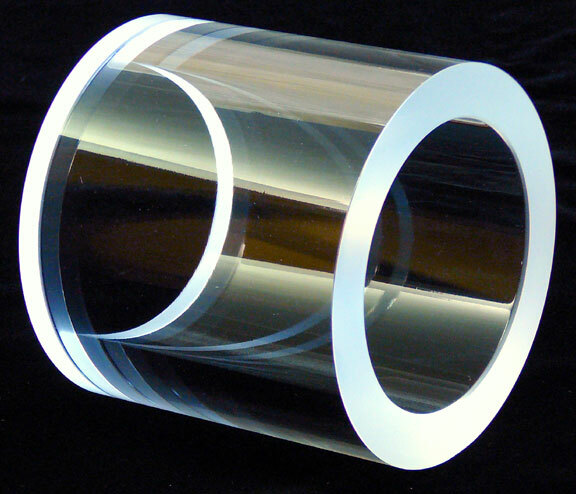 A fused silica window with four thru-holes. 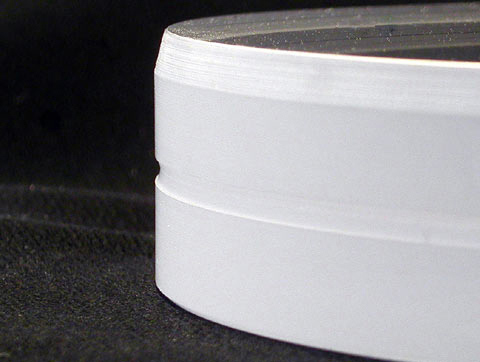 Our high-precision masking process was used to make an ITO coating in a tightly-toleranced circle. 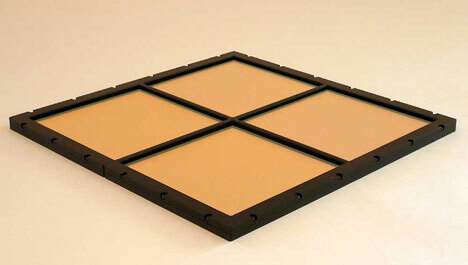 Our capabilities in manufacturing custom optics, filters, and coatings are diverse and broad-based. 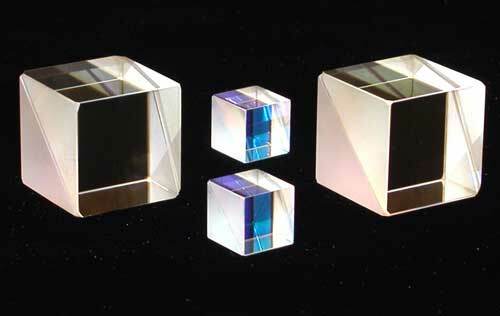 Some of the optics that we routinely make include precision windows, dichroic beamsplitters, mirrors, high-performance reflectors, prisms, polarizing cube beamsplitters, anti-reflection coatings, lenses, aspheres, ball and half-ball lenses, rod lenses, and semi-spherical lenses. Please contact us with your requirements or drawings and we will send you a quote. If you don't know exactly what you need, please call or email us and one of our engineers can discuss this with you; you can tell us what you are trying to do and we would suggest the most cost-effective options that would meet your needs. Below are some images that illustrate some of our capabilities. 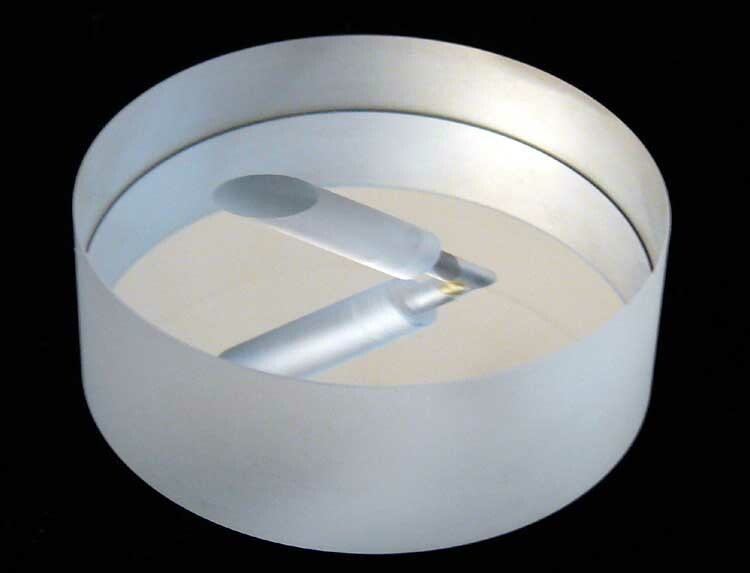 Custom, fused silica tube, about 5-inches long. Both the interior and exterior surfaces are polished. Custom prism-plate. 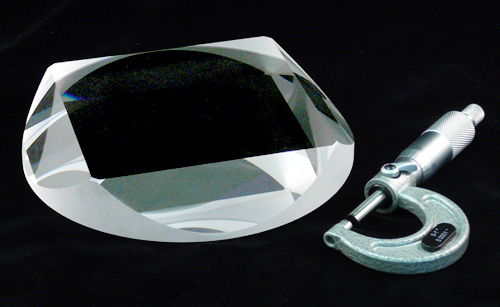 Each of the six surfaces has a precision polish. 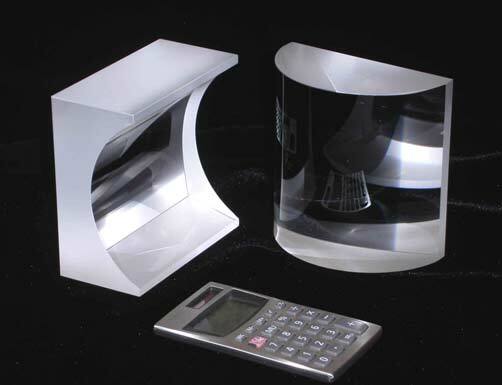 Custom fused silica window, approximately 5-inches dia., 2-inches thick. 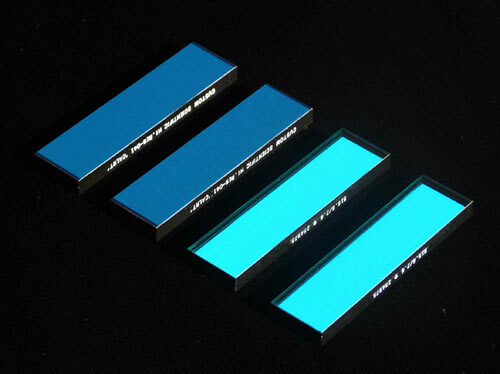 4"x 4" cylindrical lenses. 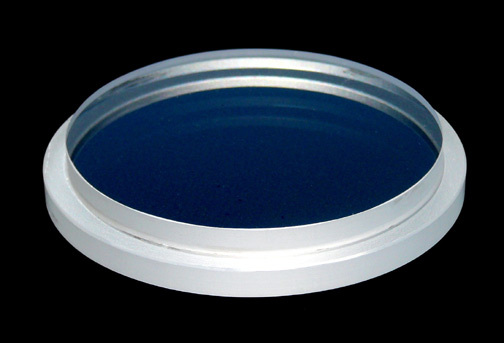 These Plano- concave and plano-convex lenses are high power with an f/1 focal ratio. 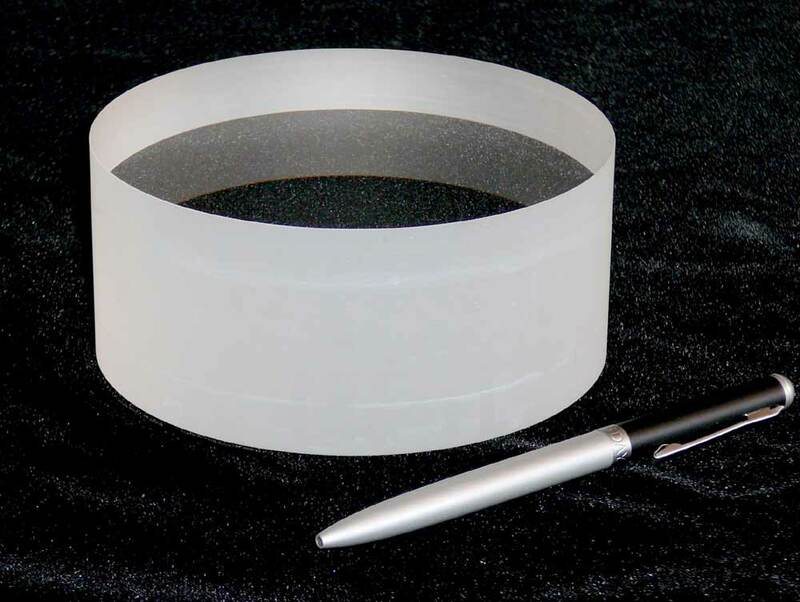 Small fused silica window with precision bevels and notch, and bandpass filters (in black rings>These spectrally narrow bandpass filters are 4mm dia. and can function in teperatures beyond 100 degrees C.
3" dia. 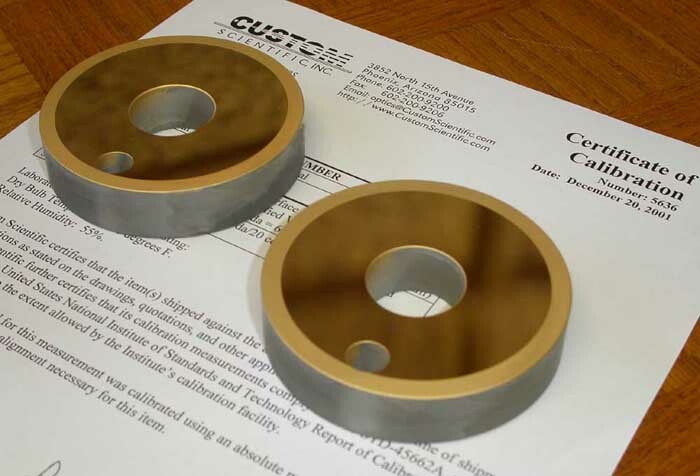 Concave mirrors with precision holes and gold coating. 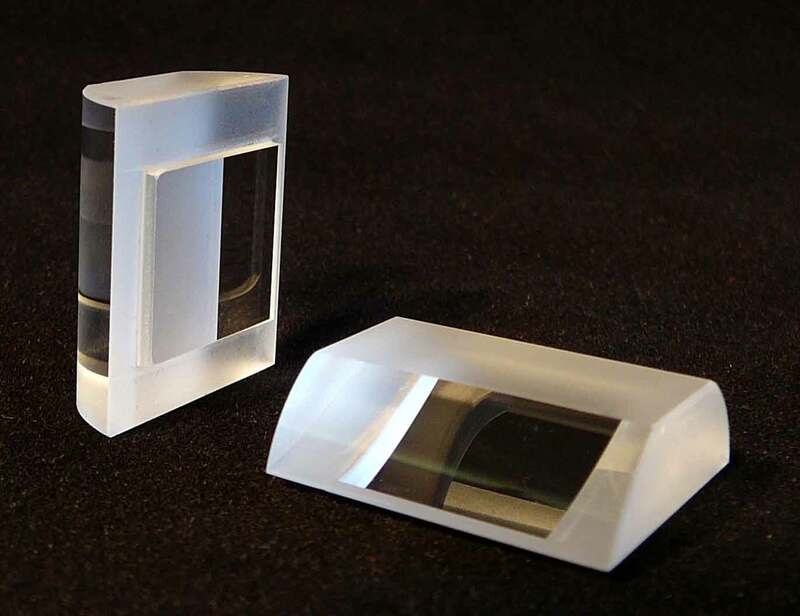 These mirrors are used to make an optical cavity for Infrared light. 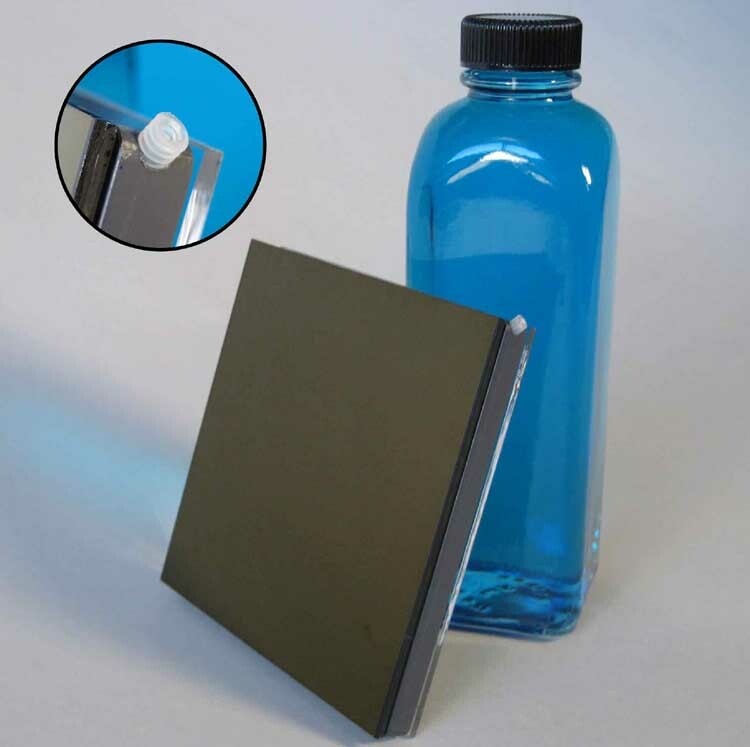 Aluminum-coated mirror with thru-hole that has counter-bore. This hole makes a 45 degree angle with the surface. 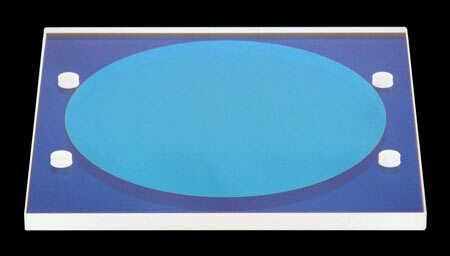 The diameter of the hole changes in the middle of the substrate. The aluminum-coated surface is facing down. 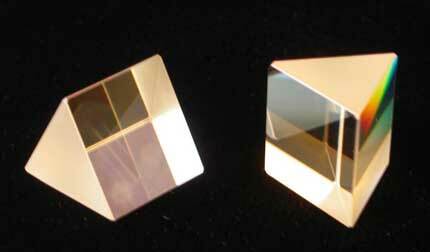 Three mirrors with gold coating. 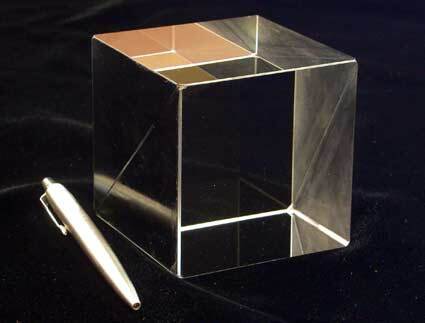 All the mirrors, including the rectangular one, have a high-precision, concave, spherical curvature. 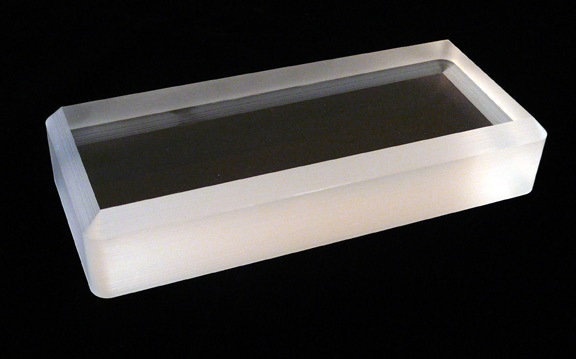 Fused Silica Step Window. A machined groove gives the window a lip on the edge. 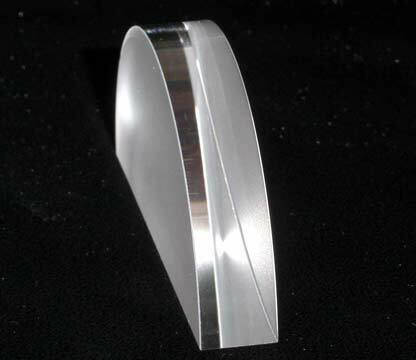 The edge of an optical flat with a groove and bevel. 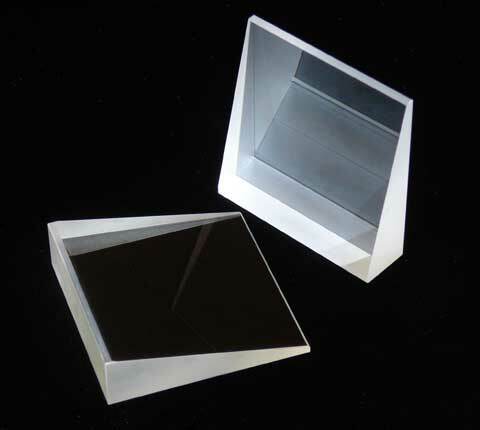 Rectangular fused silica window with a beveled edge. 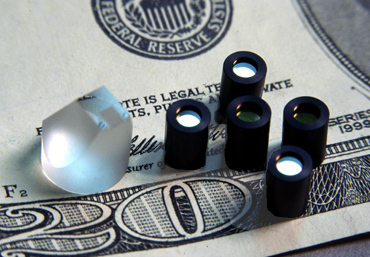 Truncated plano-convex cylindrical lens with groove around the perimeter of the plano surface. 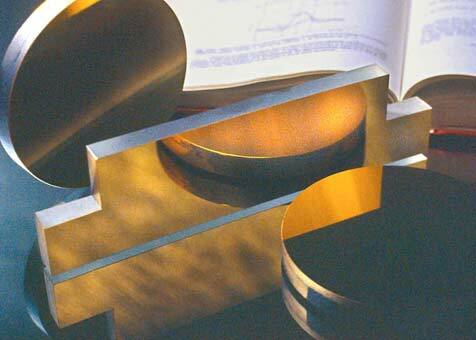 Contact us with your requirements or drawings and we will be happy to send you a quote.